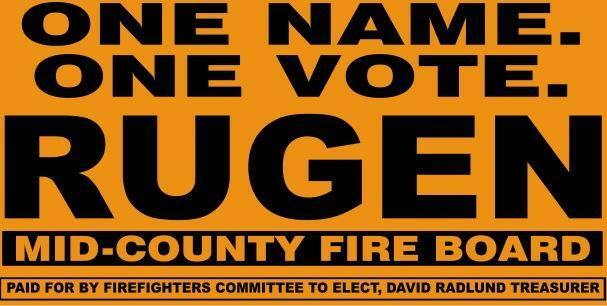 Jeremy Rugen, candidate for Mid-County Fire Board, sends a clear message to the ‘status quo’ with his slogan. My name is Jeremy Rugen. I am a Candidate seeking budget accountability and keeping insurance rates low for the taxpayers throughout the fire district. Also, we need to keep open the fire stations that are planning to be closed. I have volunteered for Mid-County Fire for over 9 years and worked at Gravois Fire for 3 years. I believe with my experience as a firefighter and paramedic I can give some insight on the budget to save the district money. I have worked for organizations that use tax dollars to operate and I feel I have great understanding for saving tax dollars. I want to focus on providing service to the tax payers. There are currently no one in the code enforcement department. There needs to be one person in my opinion in code enforcement. One option is a grant the district has a pending grant for a fire inspector. If awarded this grant it will pay the salary and benefits for two years. If the grant is unsuccessful I believe someone will need to be hired but not at the pay and benefits of the previous Deputy Chief. Jeremy Rugen, featured in yesterday’s article ‘One Name, One Vote’ represents a clear change from the ‘status quo’ in local government. His candidacy, and campaign slogan, is a departure from the direction currently taken by the fire board. Fiscal responsibility lie at the heart of his platform and a desire to make common sense decisions for the benefit of the taxpayers are appealing to those in opposition to the closure of outlying stations. On April 8th, candidates will go to the polls to decide issues crucial to our future. One of these is the election of the Mid-County Fire board. It will determine whether the taxpayers will live under the threat of higher insurance premiums or whether the fire district will modify its budget to spare taxpayers this burden. 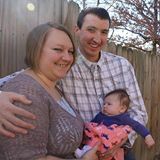 Jeremy Rugen’s Facebook page can be found here. This entry was posted in American Spring Original Articles/Opinion, Local News, Local politics by americanspring2011. Bookmark the permalink.